AC Milan coach Massimiliano Allegri is ready to give 16 year-old midfielder Bryan Cristante a first team debut this week. Milan have a dead Champions League rubber with Viktoria Plzen and TMW says Allegri plans to give Italy U17 international Cristante his chance. Also in the frame to see action will be academy teammate Kingsley Boateng, another regarded highly inside Milan. Boateng, 17, scored in a preseason friendly against Malmo earlier this year. Made his debut for us in the Champions League today. Only 16 years old! Last edited by RossoneroTifoso; 06-12-2011 at 21:34. Last youngest player for Milan in Champions League was Abate - he played at the age of 17 years and 27 days against Celta Vigo, 9 December 2003. So much talents we have now. Kingsley Boateng, Cristante, Innocenti, Vido, Calvano, Valoti and El Shaarawy. i dont have faith in the theory that we have that ability to develop young talent. we maybe have had it at one point. maybe. Hugely disappointing appearance for teenager as his side conceded twice after his introduction in 81st minute, although the goals were nothing to do with him. whether is his fault or not, 2-0 lead become 2-2.
pretty sure some of the older players who were ineligible for CL (like Carmona) will start before him. might mean that we won't see him in the first team again until next year. look at Barca,play almost all their youth talent.damn i envy of them. They have a B team in second divison in spain. that why they can develop their talent while milan dont have any B team. 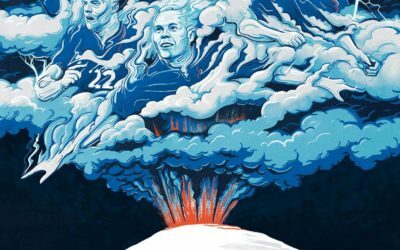 Italy most change some rule and they must start a B team for every serie A team Just like in Germany,England and Spain. And more soon than later. There should be just Serie A Youth, Serie B Youth... and on and on. Average age 17-21, and don't quit with the Primavera, just have that 14-17 or something. Milan could easily build their own reserve team and register them to play in the last division of Italy and then move up and try to get to Seria C.
For kids that would be more then enough of quality football even if you play close to the last division. Definitely much better then just Primavera games. Italy situation with no reserve league is horrible... but Milan on the other hand is also doing nothing. If it would have been easy than more italian clubs would have done it by now no? Its just udinese so far, lets hope lega delivers the reserve league, been a lot of talk recently, time for them to deliver. AC Milan dropped two late points in their final Group H encounter against Viktoria Plzen on Tuesday night, but there was one reason for optimism to come from the final 10 minutes of their 2-2 Champions League draw in Prague. Bryan Cristante's 81st-minute introduction in place of Robinho was the latest step on the footballing ladder for a 16-year-old who has made great strides already through the Rossoneri's youth system. In making a late appearance on Tuesday he became one of the youngest players ever to play in the Uefa Champions League. Cristante was born in San Vito al Tagliamento but raised in San Giovanni di Casarsa, a province of Pordenone, and took his first real steps in Casarsa. He moved on to Liventina Gorghense, a club in the province of Treviso which forms part of Milan’s vast youth structure that has also helped to develop Kingsley Boateng. 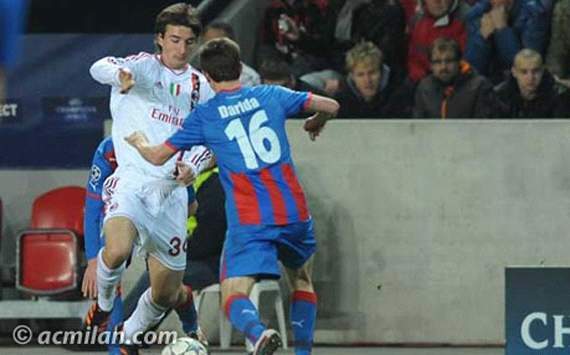 Cristante was the first player from an amateur club to be called up for the national under-15 youth team. In 2009 came the call from the Rossoneri, and in his first year at Milan he won the Scudetto with the Giovanissimi Nazionali, scoring eight goals. The following season he made the step up to the Allievi Nazionali, with whom he won another league championship. Earlier this year, the club’s Primavera coach, Aldo Dolcetti, called him into the highest level of youth team football, where he quickly became one of the pillars in the midfield. Cristante is also currently a member of the Italy U-17 setup. He is a midfielder who already has great physique for his age (at 186 cm tall and 78 kg in weight), and is excellent in both phases of the game, combining strength and technical qualities. He has also been used just in front of the defence before, but is at his best in either channel. In that respect he is similar to Alberto Aquilani, but he seems to have better physical endurance than the Milan first-teamer. Cristante must obviously become tougher to withstand the impact of the first team arena, but he has impressed Massimiliano Allegri with his technical skills and personality, meaning that the first-team coach is willing to give him the chance to play despite his young age. Off the field, though, he is a very introverted boy, who does not yet seem to be too attracted to the bright lights of the media spotlight. lol was just gonna post that. all the best for the future bryan! He certainly wasnt wonderful last night. he really didnt get a chance to do anything.